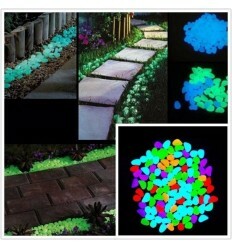 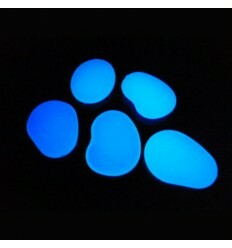 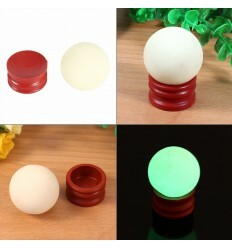 Photoluminescent glow in the dark plastic or glass cobbles, stones and pebbles of various colors for furniture. 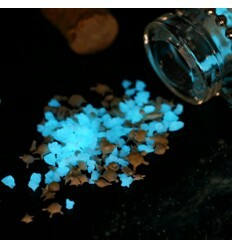 They are a decorative item with the ability to store natural or artificial light and re-emanate it as a colorful fluerescent brilliance in presence of sufficient darkness. 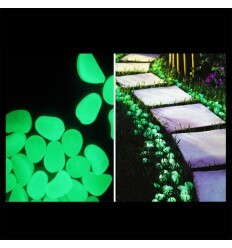 They are perfect to elegantly decorate gardens, walks, trails, pots with plants or flowers, fountains, pools, aquariums, resin flooring, plaster or cement agglomerates. 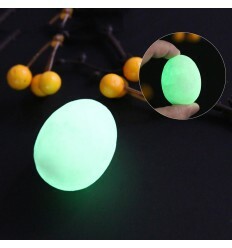 They require no electricity and maintenance, they are completely waterproof and without harmful substances, absolutely NOT dangerous and NOT radioactive.